An all-new authorized collection of Solar Pons stories by David Marcum. In 1928, college student August Derleth wrote to Sir Arthur Conan Doyle, asking if any more Sherlock Holmes adventures were going to be published. Upon receiving a negative reply, Derleth decided to provide some of his own. However, rather than relating more tales of Holmes and Dr. Watson, he ended up introducing the world to Solar Pons and Dr. Lydon Parker, living in London during the 1920's and 1930's. Pons solved crimes using deduction and ratiocination, often referring to Holmes as "The Master" or "My illustrious predecessor". 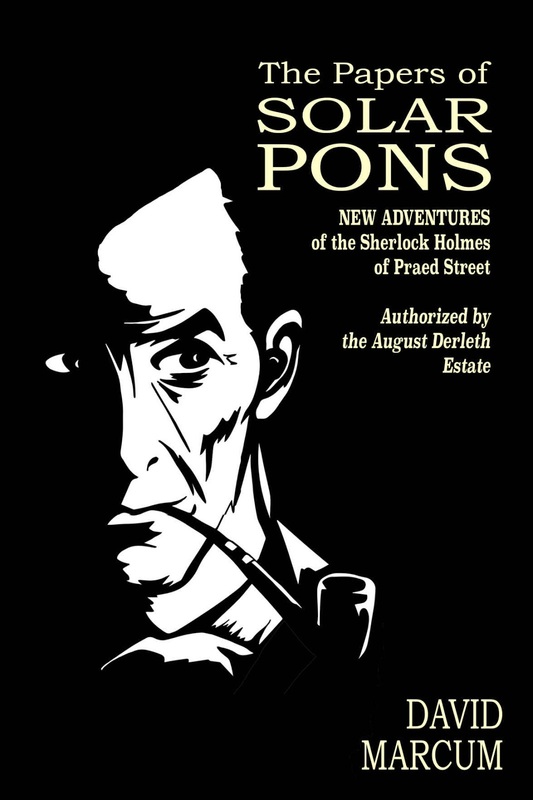 Since his first appearance, Pons has been a favorite with Sherlockians. Between the 1920's and the early 1970's, Derleth produced over seventy Pons short stories and novels. In the mid-1970's, the Derleth Estate authorized a number of new Pons narratives to be prepared for publication by Basil Copper. Since then, additional lost stories from Derleth's files were found, and Copper released various revised versions of his own works, but there have been no new Pons stories for years...until now. The August Derleth Estate, Arkham Housie, and Belanger Books are pleased to present this authorized collection of twelve new Pons adventures by Sherlocian autor and editor David Marcum. Join Pons and Parker as they venture forth into the mysterious London fogs during that murky period between the two World Wars. Along the way, meet some old friends, and discover why Pons is called "The Sherlock Holmes of Praed Street."